The tragedy of the collapse of a dam in Brazil on Friday has brought to the fore the issue of proposed dams in Assam and Arunachal Pradesh once again. At least 300 people remained missing after a dam collapsed at an iron ore mine in south-eastern Brazil on Friday. A BBC report said that the dam near Feijão iron ore mine burst its barrier at around 13:00 local time (15:00 GMT) on Friday, flooding another dam down below. The tragedy in Brazil has brought to the fore once again the danger of having mega dams related to power project in the Northeastern India, which falls under the highly sensitive Zone V, prone to earthquakes. The Central government has proposed to construct over 100 mega dams in the Northeast, mainly in Assam and Arunachal Pradesh to tap the hydro power potential of the region. According to the estimate conducted by a government agency, the Brahmaputra and its tributaries can produce up to 60,000 MW of power. While the dam collapse in Brazil has led to missing of 300 people, thousands of people will be affected in Arunachal Pradesh and in Assam in case of an eventuality and if the dams are collapsed. Assam had witnessed earthquake of high magnitude of 8.6 on the richter scale in 1950, which caused large scale devastations in Assam. The quake in 1950 that occurred on August 15 had its epicentre near Rima in neighbouring Tibet and over 1,500 were killed due to the quake in Assam and in neighbouring Tibet. 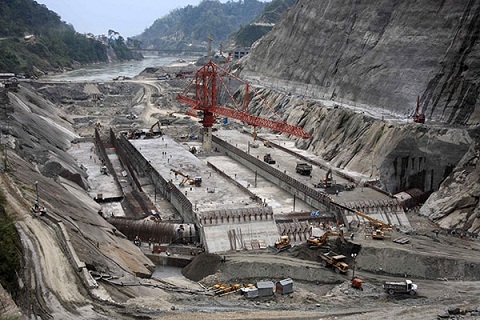 Assam had witnessed massive protests in the past over the Central government’s plan to construct the Lower Subansiri Hydro electric power project. Located in Gerukamukh on the Assam-Arunachal Pradesh border, the proposed hydro power project is a run-of-the-river project and is expected to produce 2,000 MW of power. Different organisations and civil society groups in Assam have been opposing the construction of the mega dam on environmental reasons. It is believed that the dam, in case of an eventuality like severe earthquake, unleash large scale devastations in downstream areas impacting people, their livelihood and on the environment.